If you frequent the Uptown New Orleans area, you've seen the little red truck sitting outside of Harry's Ace Hardware just across the street from Cavan at least once. 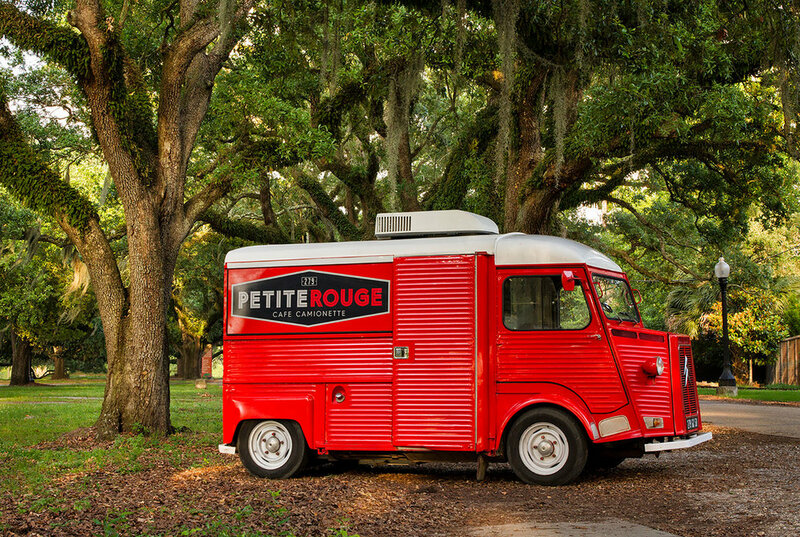 Inside you'll find Julie Pieri, owner and operator of Petite Rouge, a cafe camionette serving up a vast array of coffee and tea offerings for people strolling or on the go. 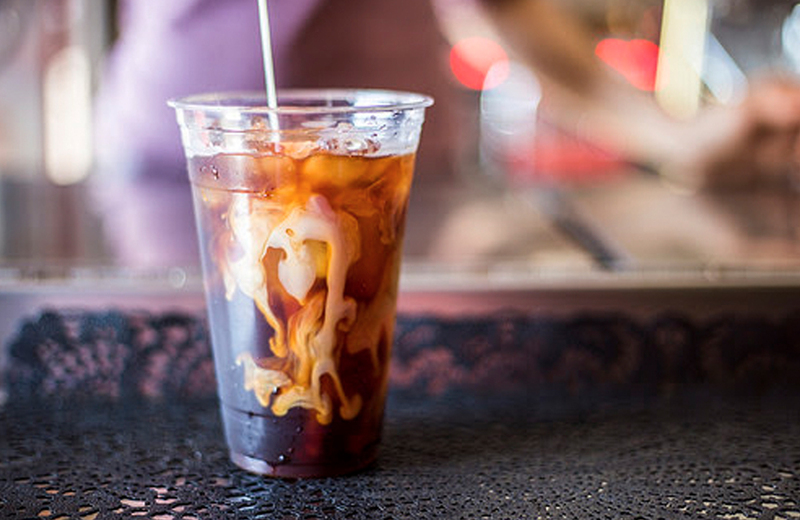 We reached out to the bartender-turned-barista and asked her a few questions about life at Petite Rouge. JP: I was an art major at UNO, so I made a lot of art, attended a couple of art residencies around the USA – lived in Japan where I also made a lot of art and taught a lot of English, worked as a line cook at Bella Luna back in the day, first cooking job was at All Natural Foods (back in the day) in the deli, bartended for years & years at some fancy restaurants in New Orleans and NYC, taught after-school art to kids, was the Art Educator for a year at the Children's Museum, traveled, dressed as a "Birthday Party Clown" a few times & wore an Elmo costume to make an extra buck in my younger years...not easy, but makes for a great story now! JP: I always wanted my own business. I had been bartending shoot..I guess for 8 years (??) and I still wanted to make drinks for people because it's fun, but I didn't want to bartend full-time anymore. I was 35 and I just knew it was time to move on. My goal was to work for myself by the time I turned 40. The lightbulb went off and my boyfriend and I joined forces to create our mobile espresso bar together. Believe me, when we first found our baby (Lil'Red) and picked her up in Michigan, I truly got dizzy and thought I was gonna pass out and puke at the same time. I knew there was no turning back. I was 37/38 when we got her done, and I must say when I realized that I reached my goal, I was pretty thrilled and proud that I reached my goal! It was a good feeling and still is. MHS: Talk about your business' relationship with private events? JP: We love catering all kinds of events big or small – weddings, corporate business meetings, conferences. We've even brought the truck out to some children's birthday parties! The kids love the truck and the parents love the "adult" drinks. JP: To take over the world, of course! We have "number two" being built out now and a few other projects building on the "back burner"...it's all very hush-hush for now! The ultimate goal..that's a long story...one goal I have for Petite Rouge is to ride in a Mardi Gras parade! I want a troupe of dancing coffee beans marching behind the truck and throw out little coffee treats as a Mardi Gras throw! Wouldn't that be fantastic??!?!! Yes, it's the best idea we've ever heard.